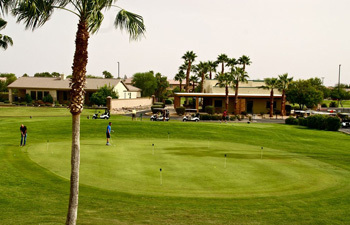 Greenfield Lakes Golf Club is an 18-hole executive length golf course in Gilbert, Arizona. This short layout has 3 sets of teeboxes for a fun, but challenging golfing experience. Online tee times may be available at Greenfield Lakes Golf Club or at nearby golf courses, usually offered at a discount from the normal rate. Note: The data is generally right, but sometimes there will be inaccuracies. If you notice any mistakes, please go to this page. 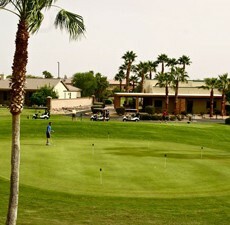 There is a Yelp.com page for "Greenfield Lakes Golf Course - Gilbert, AZ"
The score on Yelp is 3 out of 5. That score is an average of 11 ratings, and it is rounded to the nearest 0.5. Also note that sometimes Yelp excludes from that score any reviews that that it classifies as "not recommended."